Next on The Scoop: Is Free Feeding Cats the Best Way to Feed Your Cat? 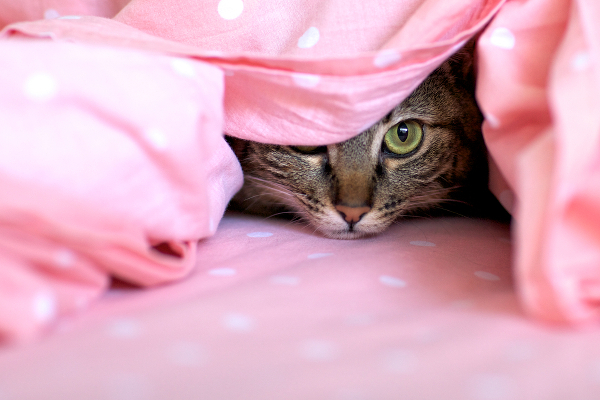 Is your cat a scaredy cat who bolts and hides away? Here’s how to make her calm and comfortable and build her confidence. You bring your newly adopted cat into your home, looking forward to years of happiness, purrs and snuggles. But as soon as you open the carrier door, she bolts for the smallest, darkest corner she can find. What’s a cat caretaker to do in a situation like this? 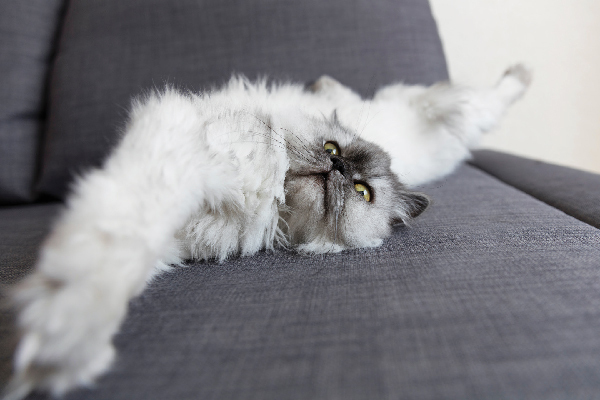 You know this cat is stressed and scared — her behavior is clear — and you want your scaredy cat to be able to relax. But how do you help her? Here are nine tips, based on my experience with my own fearful cat, Maddy-Gold, and many subsequent years of feline care, which can help you transform your scaredy cat into a confident kitty. Comfort a scaredy cat with a calming environment. Photography ©skyblue16 | Thinkstock. If you’re playing loud music, if your kids are playing their new video game at full blast, if the dog is sniffing around her hideout or if you’re yelling from room to room, for example, that’s going to be too much for her to take. Read a book, catch up on some paperwork or watch that TV series you DVR’d months ago and haven’t had time to see yet. While you’re doing that, speak to your little scaredy cat in a soft, soothing tone so she gets used to your voice. Bach Rescue Remedy was created to help heal physical and emotional trauma. Animal shelter volunteer and Bach Flower Essence practitioner Sara Goldenthal has successfully used Rescue Remedy to rehabilitate unsocialized and fearful cats. Food or treats may help lure a scaredy cat out of hiding. Cat ignores kibble by Shutterstock. Photography by Milles Studio/Shutterstock. Gently toss or roll a treat to your cat and see how your scaredy cat reacts. If she eats the treat, roll another one toward her. Gradually bring her closer by tossing the treats a shorter distance. While you’re doing this, speak to her gently and tell her what a good, brave cat she is. You’ve probably had a cat give you a kitty kiss, a slow blink that shows she trusts and loves you. You can do the same for your cat, too. When she looks at you, slowly close your eyes, keep them closed for a beat, and slowly open them again. You’ll know she’s starting to relax a little if she returns the gesture. 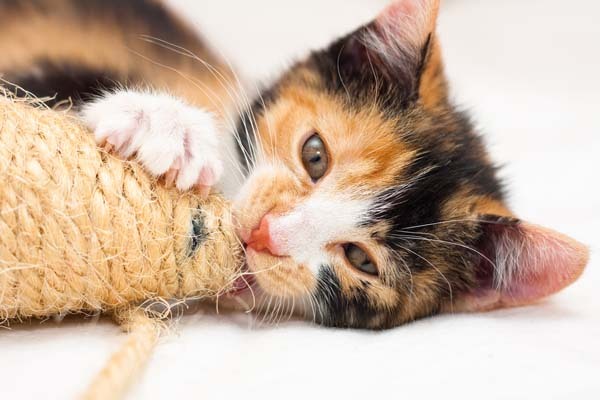 Once your cat has gotten confident enough to come out of hiding, even if she’s just slinking around the edges of the room, start engaging in some gentle, interactive play. Place the feather end of a teaser toy on the ground and then jerk it around in tiny little motions to get her attention. If she looks at the toy and starts acting interested, play with her a bit more, then praise her bravery and give her a treat. A scaredy cat is more likely to explore when she has a high, safe place to observe the goings on in her environment. Tall cat trees and even mats on top of bookshelves can give your cat a new attitude about her world. Make sure there are no dead ends in your home. Declutter and give her lots of shelves and other methods of moving all around her environment. You may have to use your feather toy and treats to coax her up onto those shelves. Don’t try to force the issue. Let your cat approach you to sniff your hand rather than putting your hand out to her. As long as you give her time to explore you and her new home at a pace that feels safe to her, she will come out of her shell. 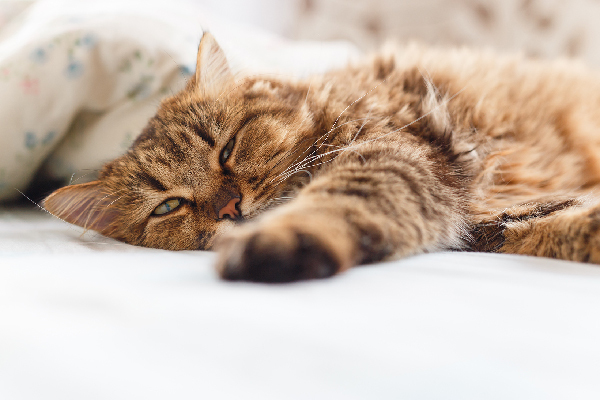 Even when your cat starts to feel comfortable around you, she still may not do as well around strangers and unfamiliar stimuli. It takes time to overcome fear, but with patience and love you can help your cat learn to enjoy her life. 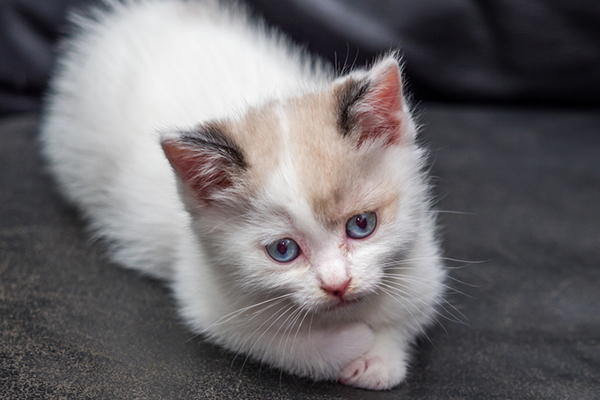 Tell us: Have you ever rehabilitated a scaredy cat? What did you do? Please share your stories in the comments. Thumbnail: Photography by Julie Vader / Shutterstock. How Do I Help My Fearful Cat Feel Safe and Secure? Another tidbit that I forgot to mention in the book I wrote above. Neither cat will eat wet food. I know, right?! I have tried several ways of offering the wet food, but, without going into all the methods I’ve tried, I’ve gotten little response. I’m reluctant to change too many things at once. I did manage to convert them to a higher quality kibble. Besides the 9 above the best thing to do is once you set up the home as listed above just leave the cat alone. Let the cat decide when it’s time to say hello and be friends. As long as the cat is eating\drinking and using the litter box you have nothing to worry about. The harder you try to bond the more time it will take. I recently rescued two nine-year-old Blue Point Siamese cats. They are brother and sister. Their elderly human guardian died in 2012, and then the husband got Alzheimers and died in December 2017. They haven’t enjoyed much of an affectionate human bond for several years and have relied upon each other for companionship. We are headed into our fourth week. The cats are calm and sit on their towers, but they continue to be afraid of me. Neither will come close, and neither will allow me to approach, let alone be petted or picked up. They are wary and vigilant and startle or bolt at the slightest movement. I have a Feliway diffuser in two rooms, and my house is quiet, but they remain totally aloof. Once upon a time they were lap cats to the elderly woman, but from years of benign neglect, they do not trust and are totally skittish. Is this just the way it’s going to be? Even with a fishing pole wand, occasional sweet talk, lying down near them to be nonthreatening, et cetera, I am discouraged by any lack of progress. I had a beautiful, loving, playful, sweet and affectionate lap cat Siamese-Himalayan mix who followed me everywhere but died in December, and I want and need another affectionate kitty. I can wait and work with these cats for a while, but if this is going to take six months or maybe never happen, they are not a good match. I don’t know whether this is a nature-nurture problem, but their PTSD makes me want to cry. How long might this take? Thanks for any help or suggestions. 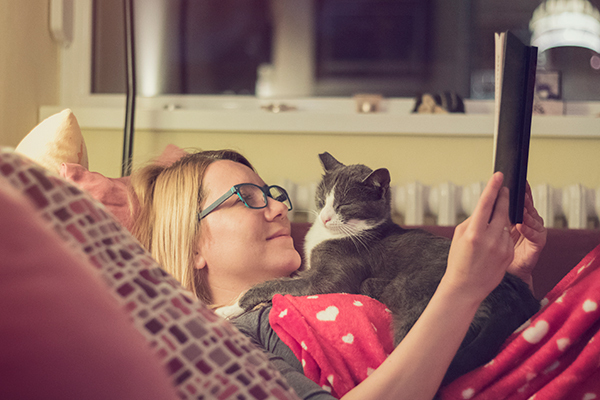 I know you’re probably busy, but sometimes cats and their humans need personalized help — not just hyperlinks. This lady wants to give two badly abused cats a loving home. Her cats need someone to understand what they’ve suffered and be patient with them. All of them needed more and better than merely a few links. PLEASE be more giving when heartbroken people and cats reach out to you — lives literally depend on you. Thanks for reaching out! We strive to provide the best advice possible, but for serious medical and behavioral concerns, we suggest that you see vets or behaviorists for advice that’s tailored to your situation.